Submitted 1 year 2 months ago by NorTec82. 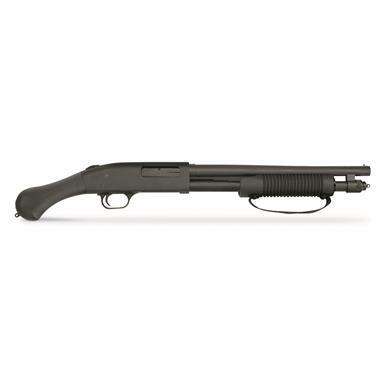 Mossberg® 590® Shockwave 12-gauge Pump Shotgun Blending rock-solid reliability with compact dimensions, the Mossberg® 590® Shockwave serves as both a viable self-defense tool and a fun range gun. Sure to turn a few heads, the Raptor® bird's head pistol grip is uniquely shaped to minimize felt recoil, and the ribbed forend features a strap to help you keep it under control.